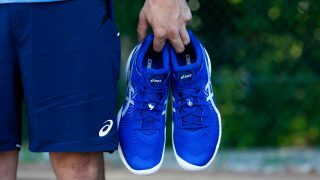 Just like how it takes heart to love our loved ones, it takes heart to love running. Our heart doesn’t just love emotionally, but it gives life. Our heart pumps blood to our lungs to be replenished with oxygen and then to the rest of our body so that our body functions properly, so that we can run. It is important for us to maintain a heart-healthy lifestyle – a simple way to remember it is 3-5-7. Also, exercise 30 minutes a day, 5 times a week, at a heart rate of less than (170 minus your age) beats per minute. Heart diseases affect everybody, not just the old, or just men, or just the smokers or drinkers. There are many myths and misconceptions floating out there, spreading through the Internet and word of mouth. Everyday in Singapore, 15 people die from heart disease and stroke. Heart disease and stroke combined is the No. 1 killer of women in Singapore. Every year, nearly 1,400 Singaporeans are hit by sudden cardiac arrest and only 2 -3% survive. 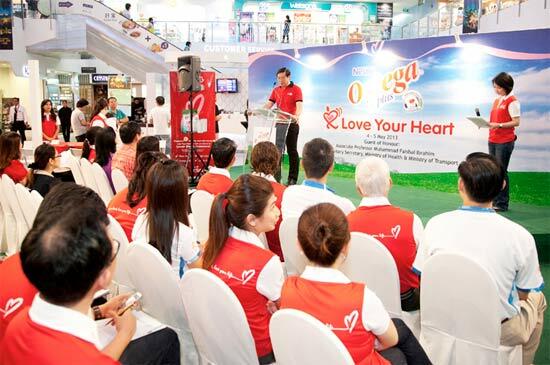 NESTLE® OMEGA PLUS® ACTICOL® Love Your Heart Run 2013 aims to create awareness amongst Singaporeans on the importance of good heart health and to encourage them to be proactive in taking care of their hearts. 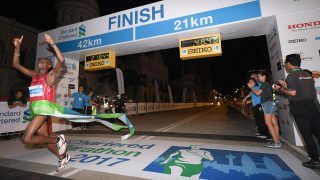 The run happens on 17 August 2013, at the Marina Bay Waterfront Promenade. 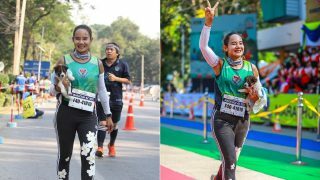 Choose between the 10km or 3.5km categories. Spread the word, grab your family and friends, this run will be a good opportunity to kick start a heart-healthy lifestyle. At the same time, you will be doing your part for charity. 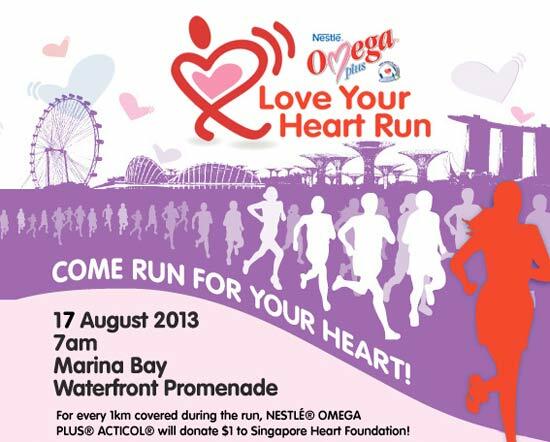 For every 1km covered during the run, NESTLE® OMEGA PLUS® ACTICOL® will donate $1 to the Singapore Heart Foundation! Registration closes on 22 July, so visit www.loveyourheart.sg today. Some of us run to stay healthy, so that we can be there for our loved ones. This run is a good time for our relationships and our hearts to grow stronger.